This Open Wide Zippered Pouch, by Noodlehead, has become one of my favorite "go-to" bags when I want to make something quick, yet useful. 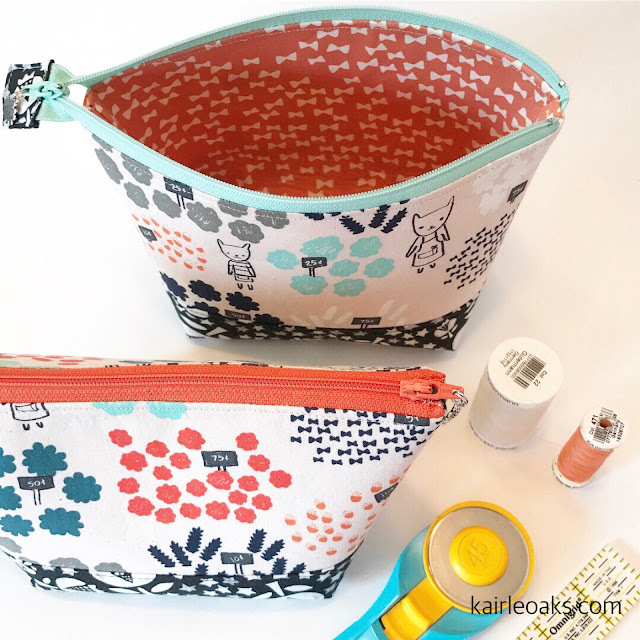 It's perfect for gathering all of the small items that you need when you're on the go. 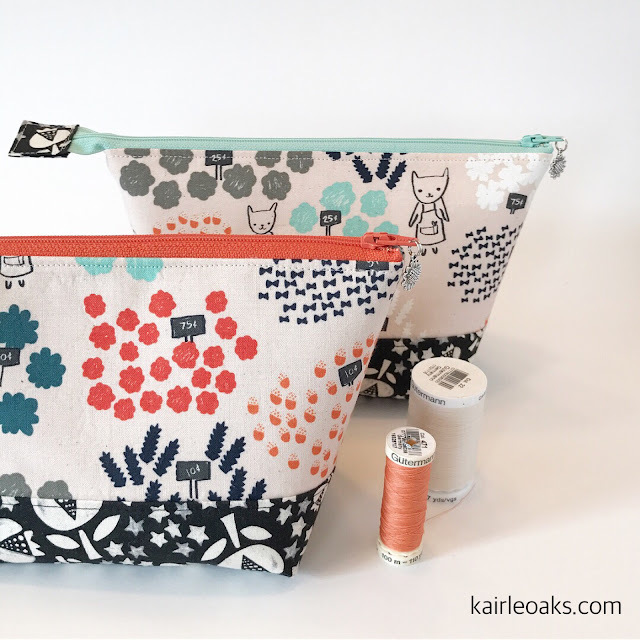 This weekend I'm heading off to the mountain for a few days of sewing and laughter with my daughter and her sister-in-law, so I'm throwing in my thread, extra needles, snips, and a few sweet treats. 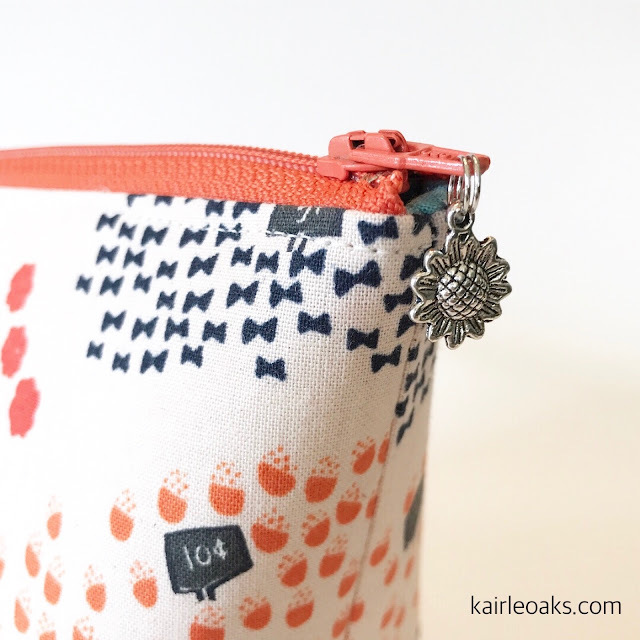 I love adding fun details like this little flower zipper charm.